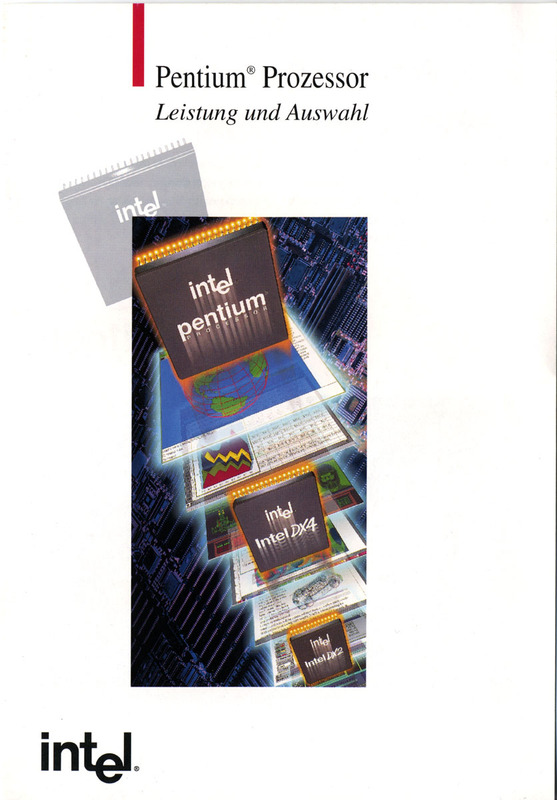 JSTML The Pentium processor was introduced on March 22, 1993. However the first versions had it's problem due to the 0.8 micron process used. 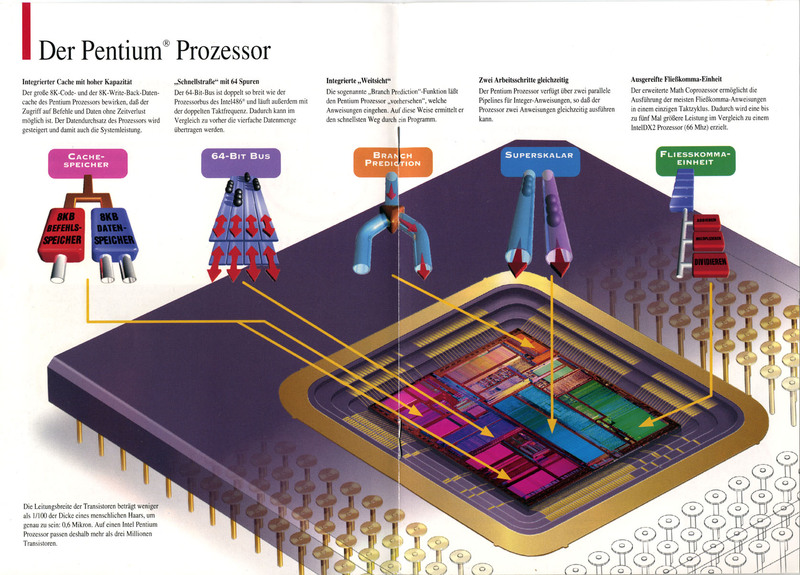 So the 60 MHz and 66 MHz version were runnung hot, while the fast 486 CPUs were already manufactured in the 0.6 micron processor. 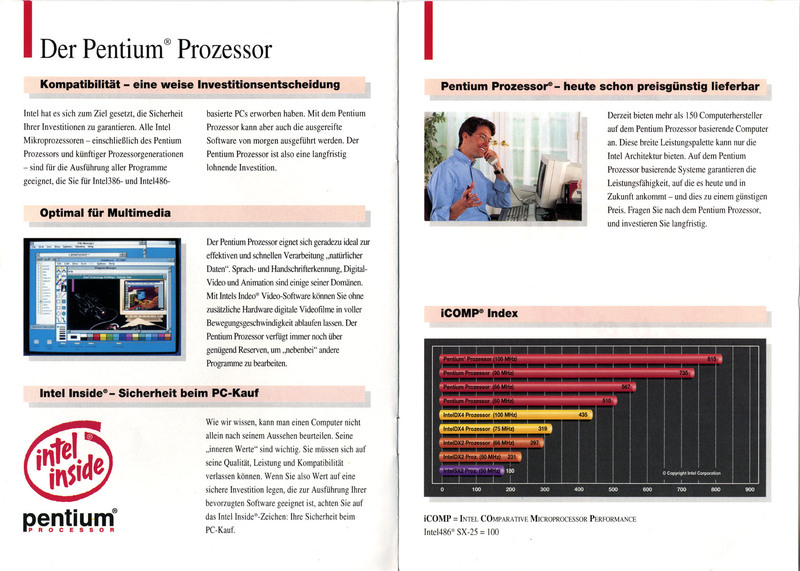 Also the 60 MHz version performed similar to the 486DX4-100 at integer calculation. 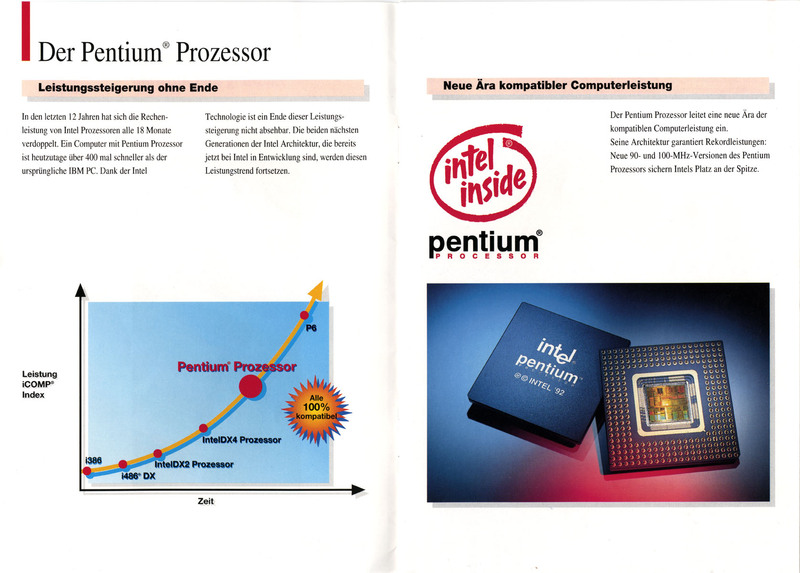 Though when the Pentium were pushed on the 0.6 micron process and higher frequencies got available, Intel made increased efforts advertising their new product. 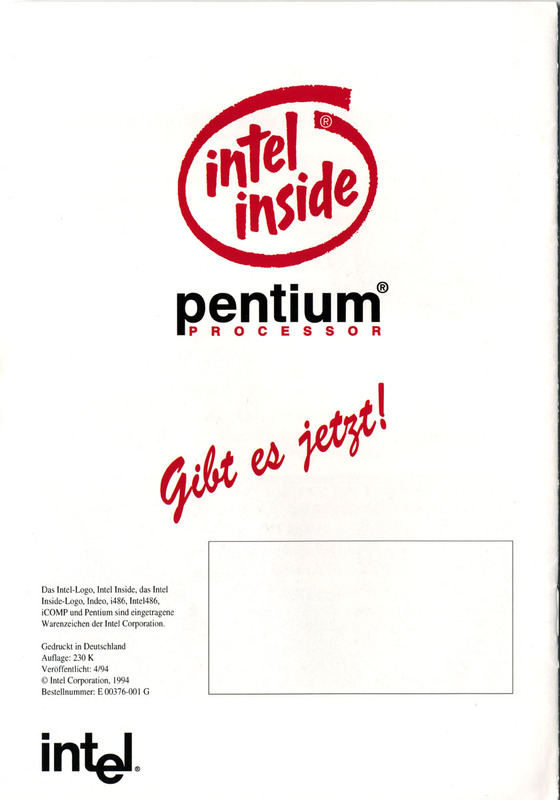 copyright permission request was approved by the Intel Copyright Permission Department.